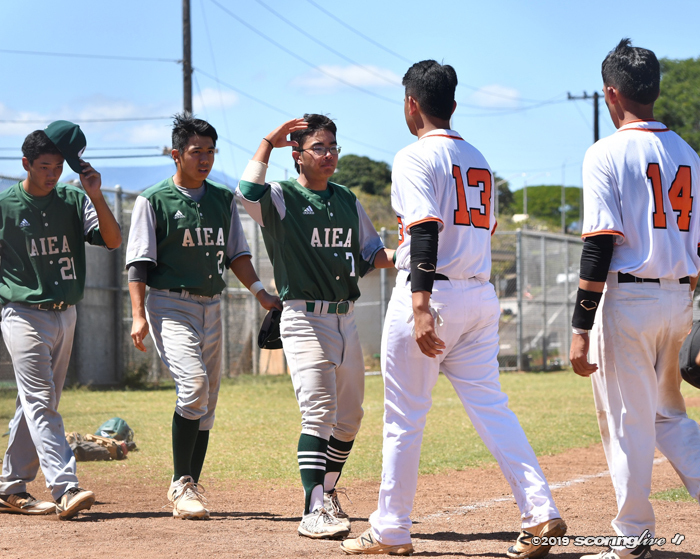 AIEA - Unranked Aiea played power ball and hit the jackpot in an 8-3 win against No. 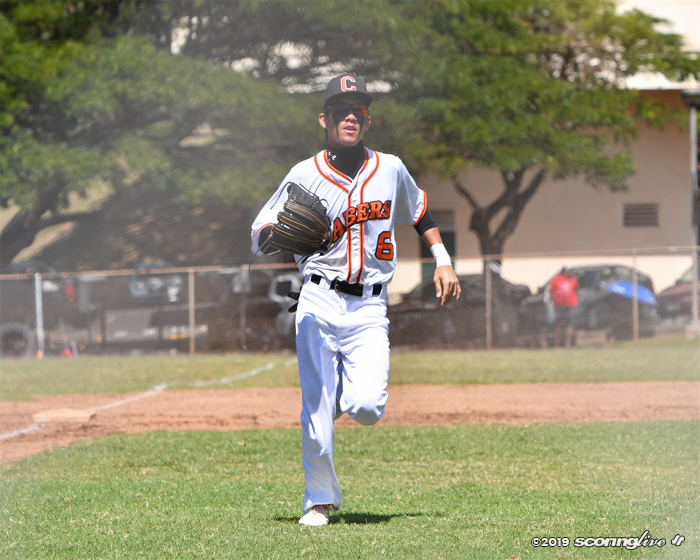 8 Campbell Saturday at Aiea Recreation Center field. 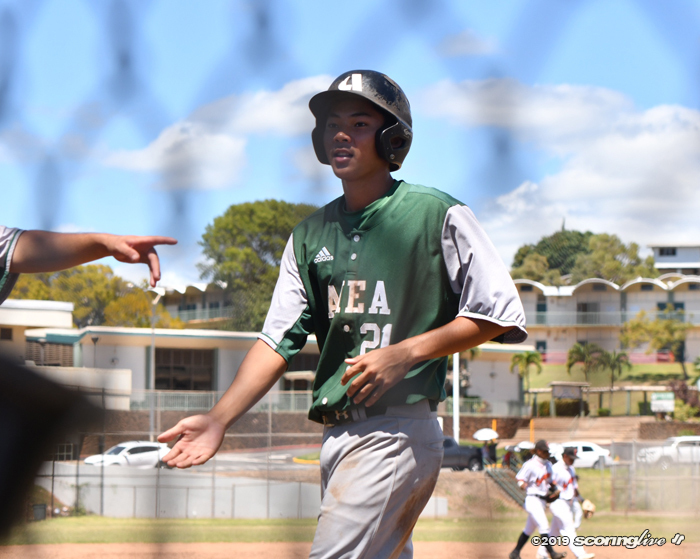 Chase Mindoro led a 14-hit barrage, batting 4 for 4 with two home runs and a double with two RBIs, to back Jordan Cezar's five strong innings on last-minute notice to help Na Alii (1-2) get their first win of the Oahu Interscholastic Association Division I West season. 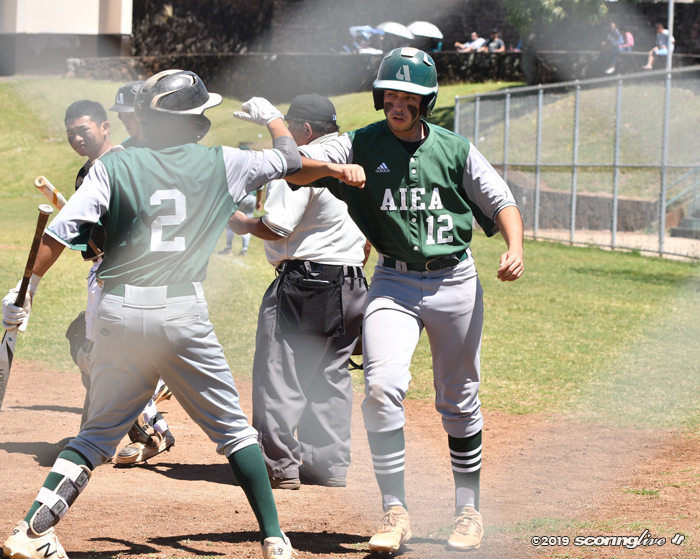 "He had a day," Aiea coach Ryan Kato said of Mindoro. "I haven't seen an offensive display like that in a long time." 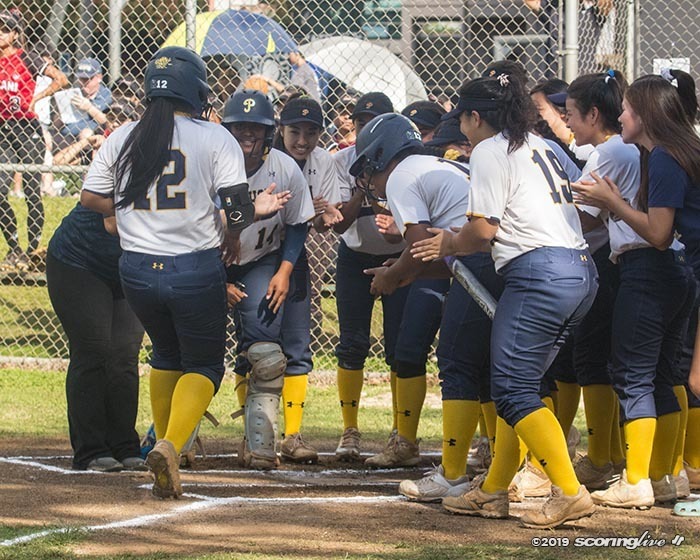 The Sabers (2-1), who are in second place behind 4-0 Mililani, took a 1-0 lead in the top of the first, but their pitching could not silence Na Alii bats, which produced 10 extra base hits: three home runs and seven doubles. 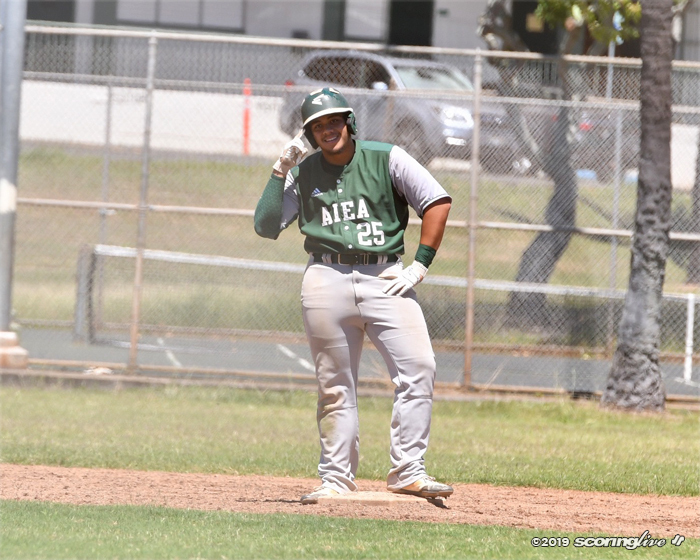 John Navarro also homered, while Ryson Ujimori, Koa Ohara, DJ Akiyama (twice), Shane Ota and Makana Tauala added doubles along with Mindoro's. 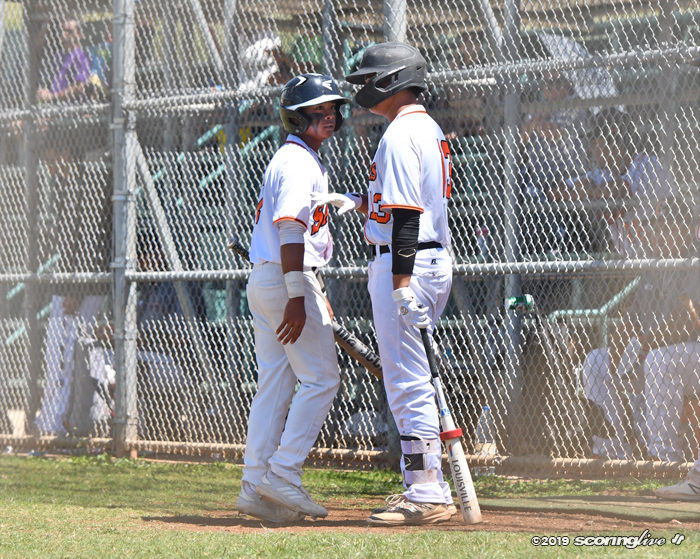 "It was huge," Kato said of the win, "only because I keep telling the guys that we're right there (but) you can only say that so much. 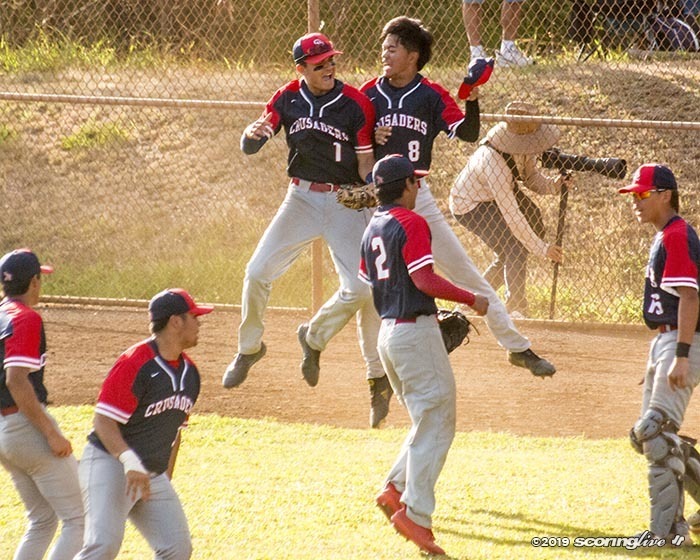 Getting the win only validates the fact that we're trending in the right direction." Na Alli actually got off to an inauspicious start. 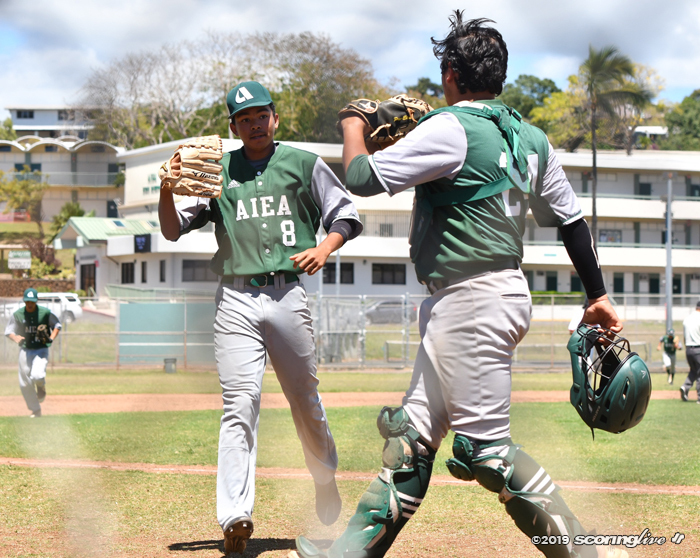 Ten minutes before the start of the game, freshman left-hander Kahaku Asing experienced discomfort while warming up in the bullpen. 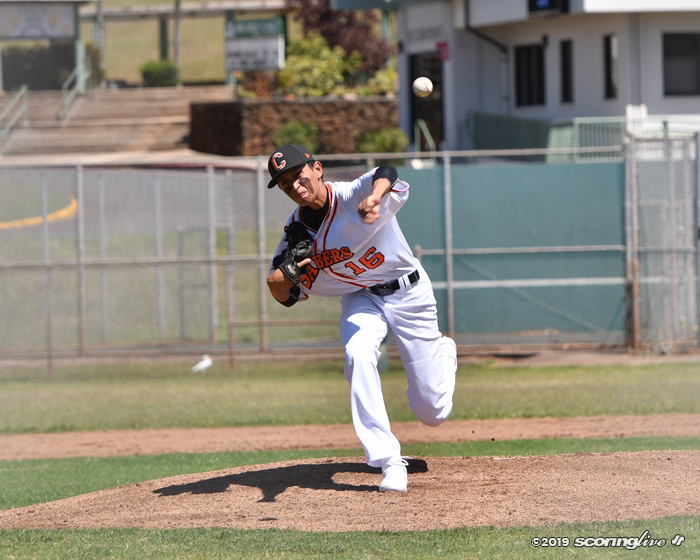 He was a last-minute scratch for sophomore left-hander Cezar, who answered with five innings of three-hit ball, allowing an unearned run and walk while striking out four to earn the win. 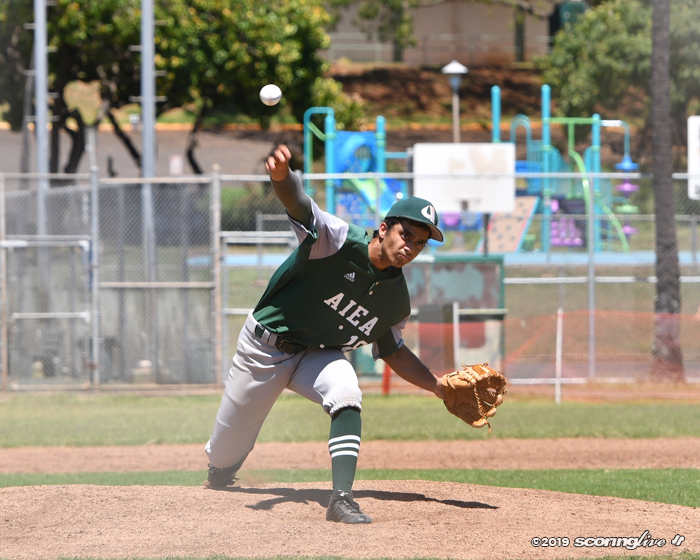 "My hat goes off to him, pitching on short notice like that," Kato said of Cezar. "He wasn't even supposed to be in the game today. 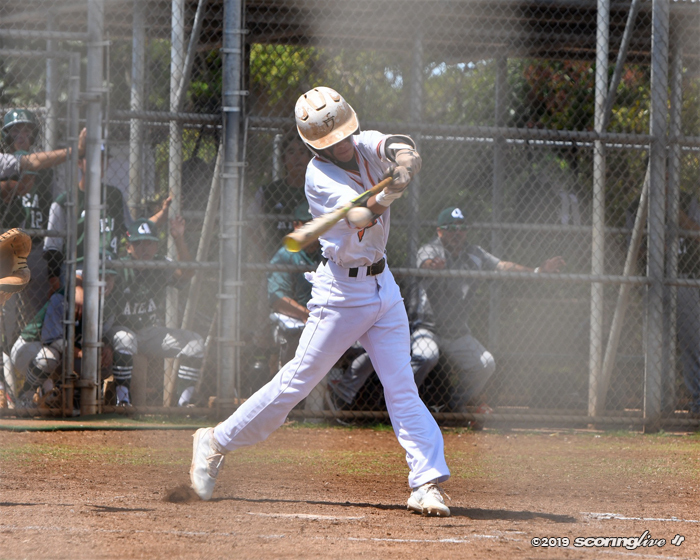 He came in and put the ball over the plate. 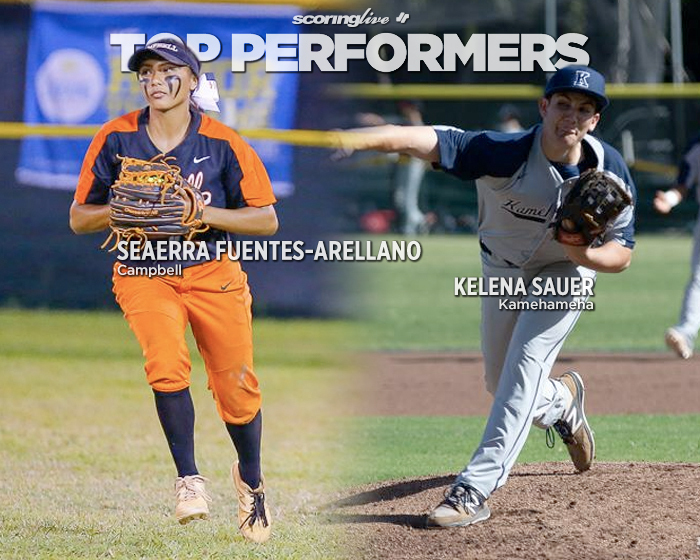 That's what we keep preaching to our pitching staff. 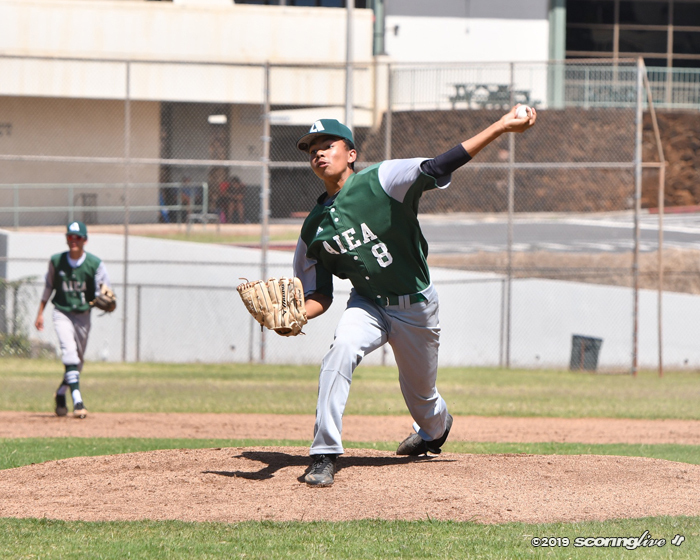 Our pitching staff came a long way. First, they were trying to strike everybody out. They get hit, they go in the tank and start missing off the plate. We were walking like 10 guys a game. 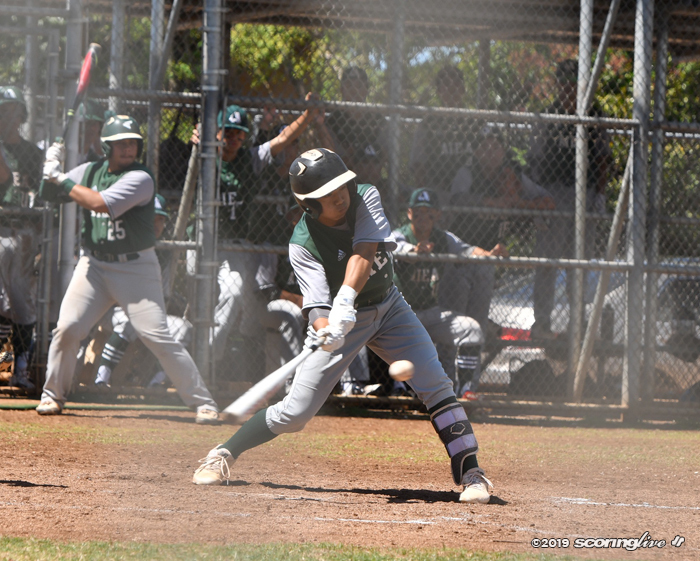 They start to realize that if we keep the ball over the plate, we might get hit here and there, but in the long run it's going to benefit us. 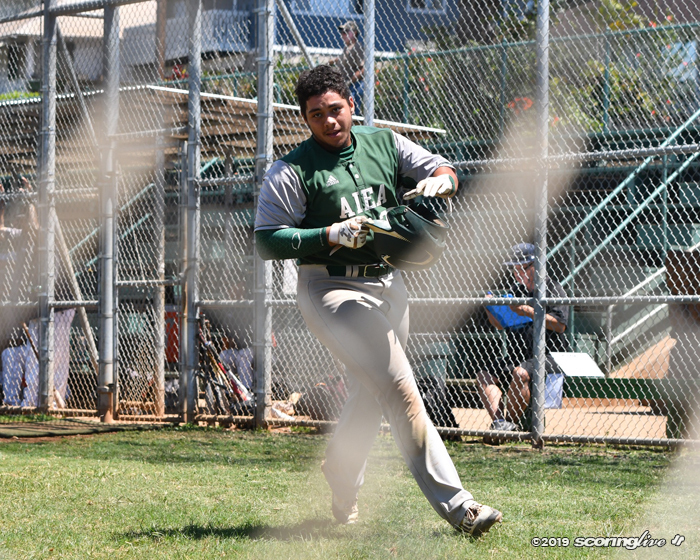 That's what Jordan did today; throw the ball over the plate." 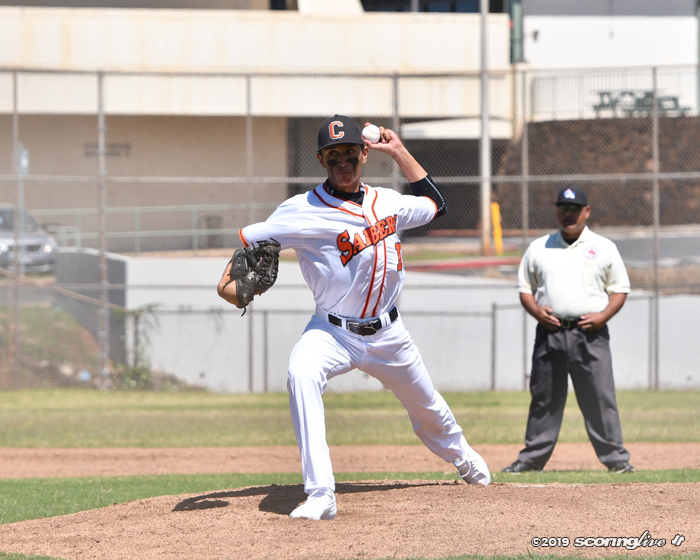 The difference was Cezar did not miss his spots the way Campbell's pitchers did. 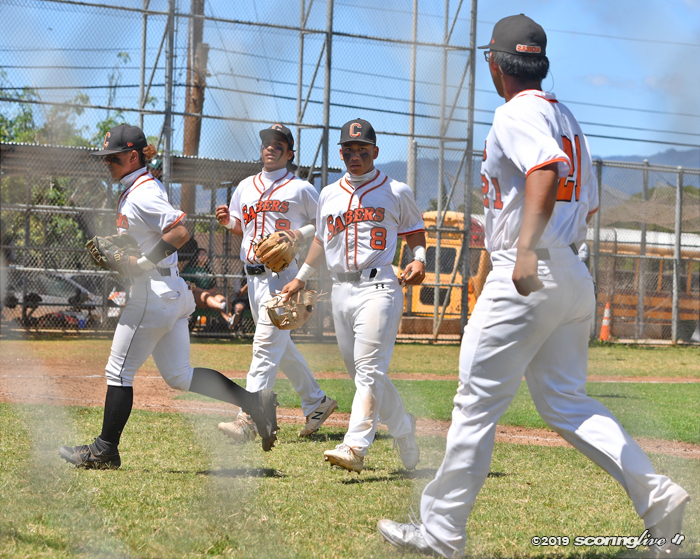 Sabers' cleanup hitter Varen Sabino had two of his team's eight hits, including a first-inning RBI double off of Cezar. 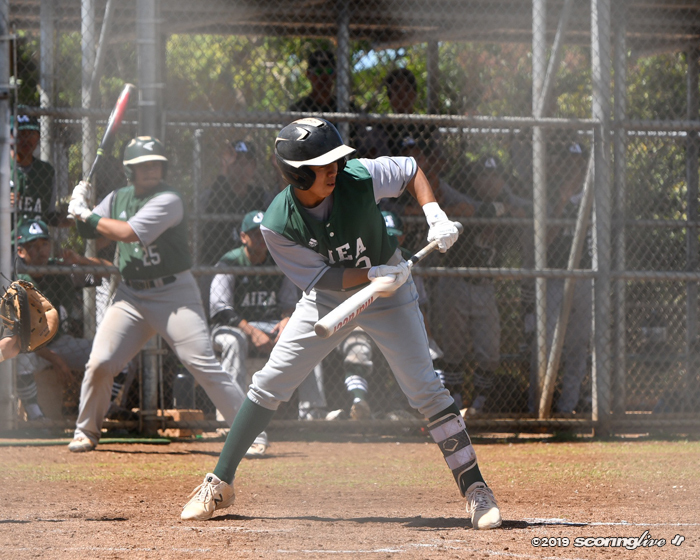 Sabers' pitching could not close the door with two strikes on Aiea hitters. 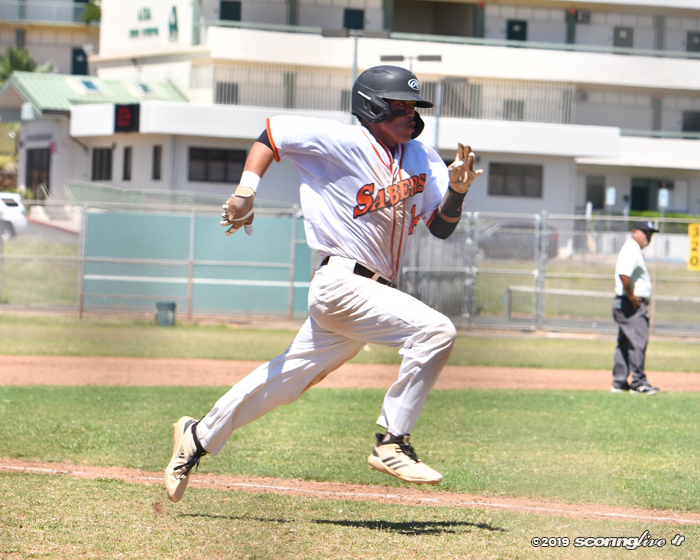 Mindoro's first homer came on a 2-2 count and his double on 0-1. 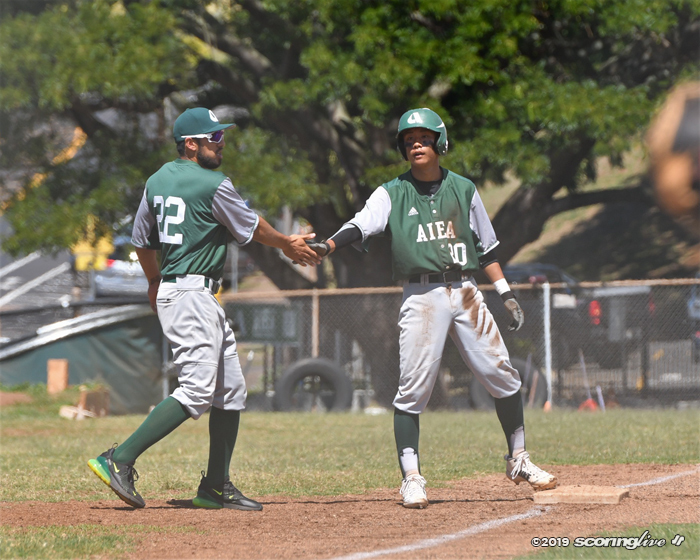 Navarro's homer came on 0-1, Ujimori's, Ota's and Akiyama's doubles came with two strikes. 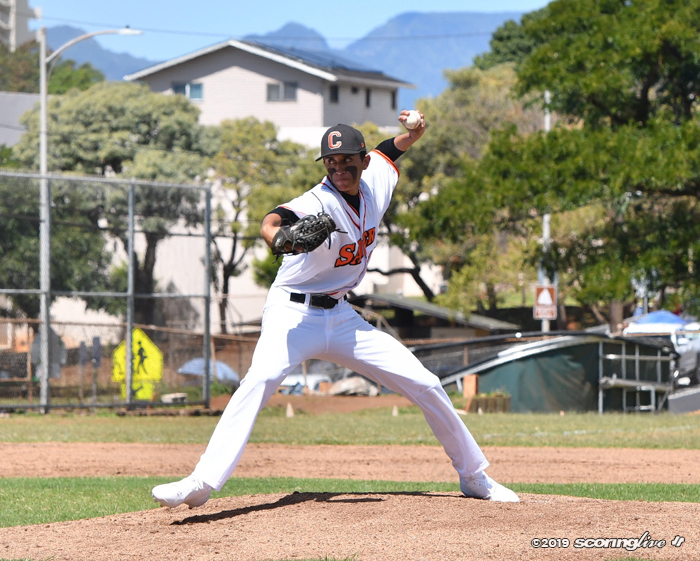 Campbell starting pitcher Ayzek Silva, a senior left-hander, lasted two-plus innings, allowing three runs, five hits and two walks with three strikeouts in taking the loss. 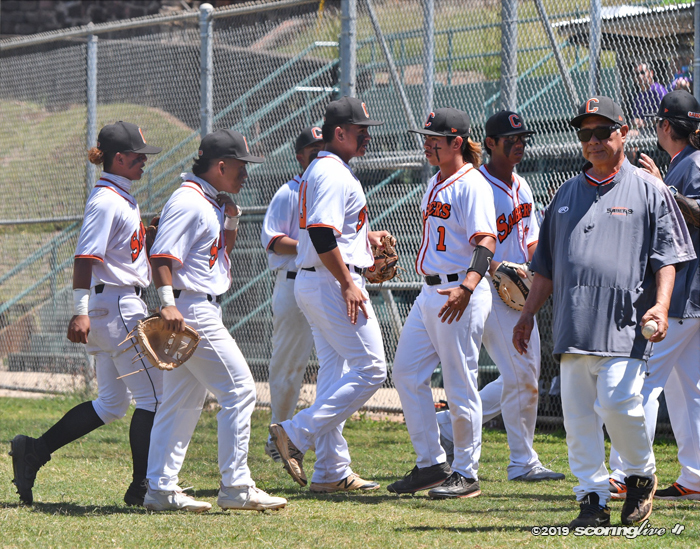 "We stress that on 0-1, 0-2 pitches and we missed the spots and we got hurt with that," Campbell coach Glenn Flores said. 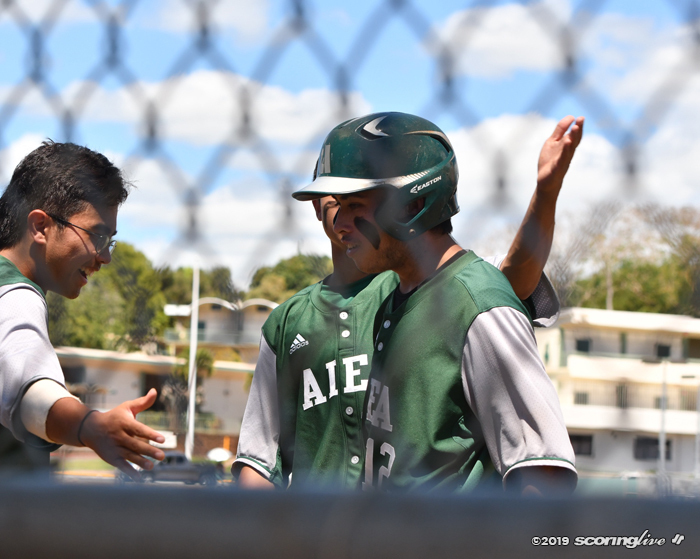 "We stress that every single day that they should not be able to hit solidly on an 0-2, 1-2 pitch. 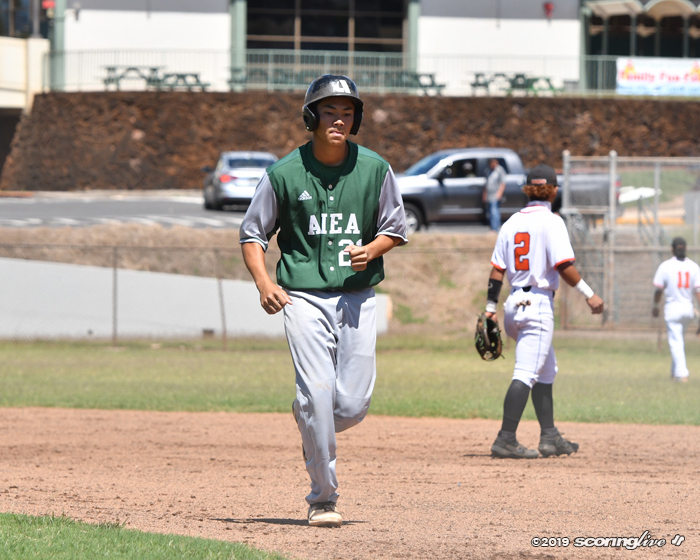 We just missed the spots and Aiea came out banging the ball hard." 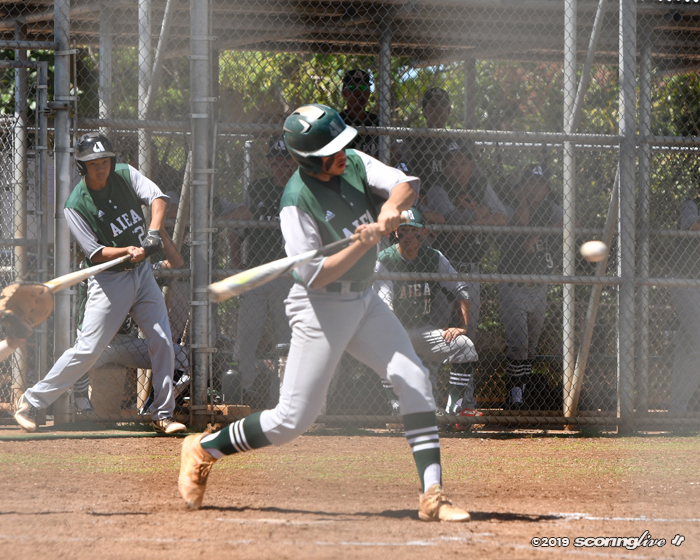 It was not as if Aiea was swinging from the heels In fact, its batters generally shortened their swings and still made solid contact. 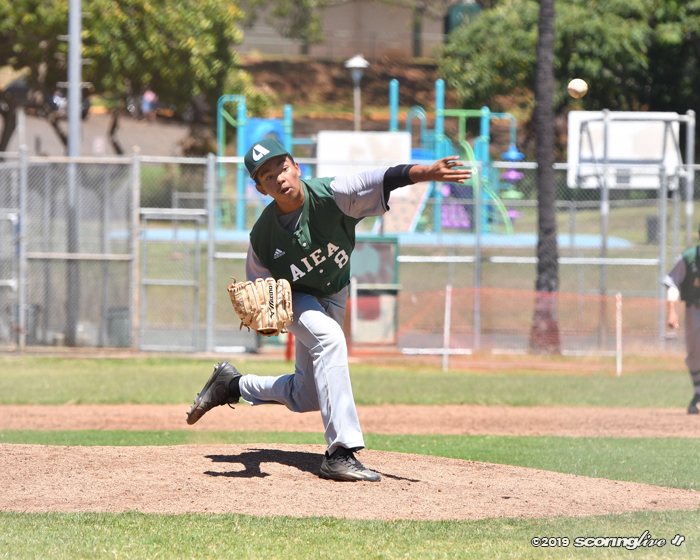 "From the start, I always choke up," Mindoro said. 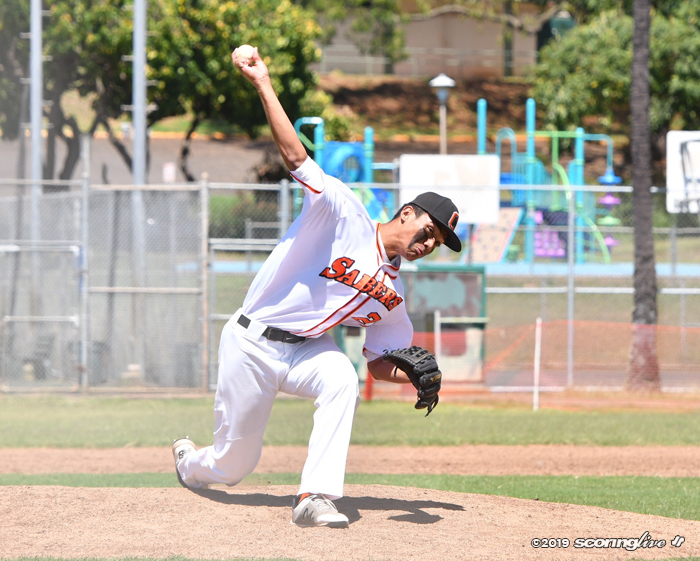 "I just choke up and stay relaxed. 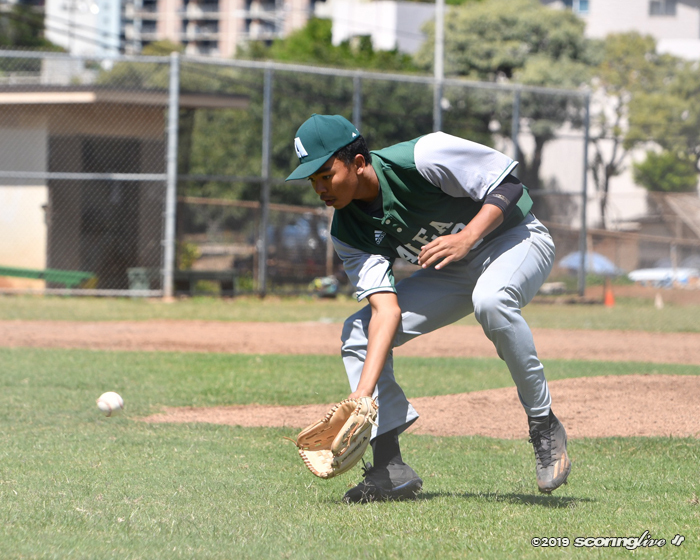 I was just expecting to get a base hit, just to get on base, help my team score some runs. 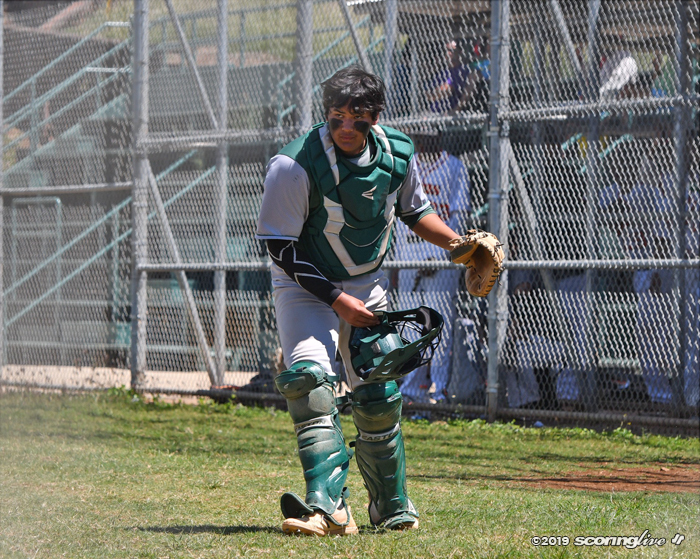 I didn't know it was over (the fence) until the umpire told me it was over. The second (homer), I was just trying to put it in play again." 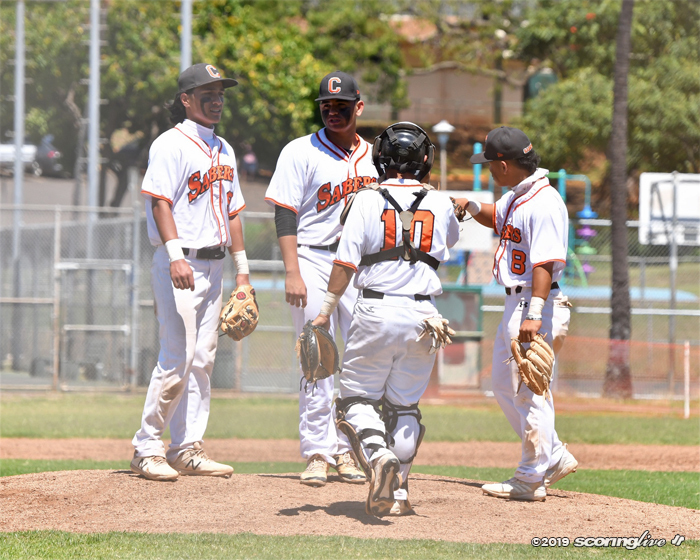 Only once Cezar allowed two batters to reach safely. 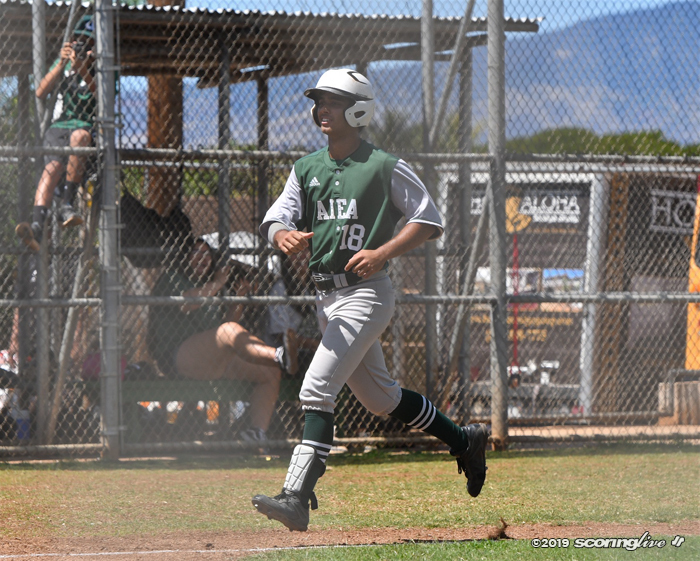 In the first inning, Ikaika Ganancial reached on an error and scored on Sabino's double. 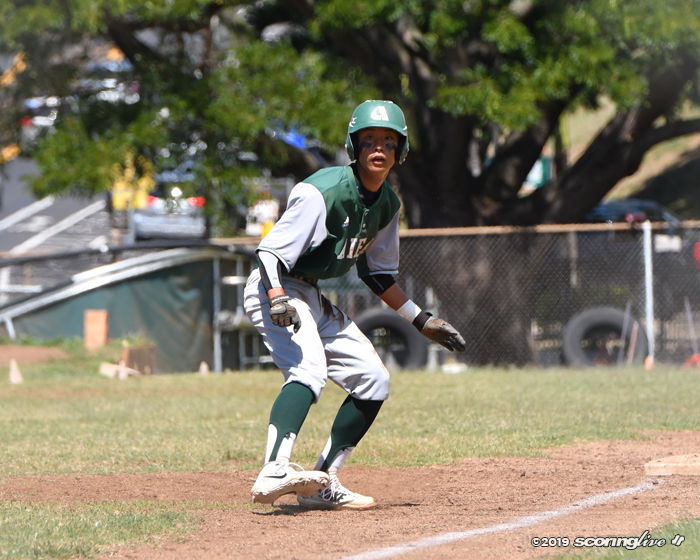 Campbell managed to get the lead-off batter on in three of the next four innings, but Cezar stranded the runners and also benefitted from a base-running interference double play. 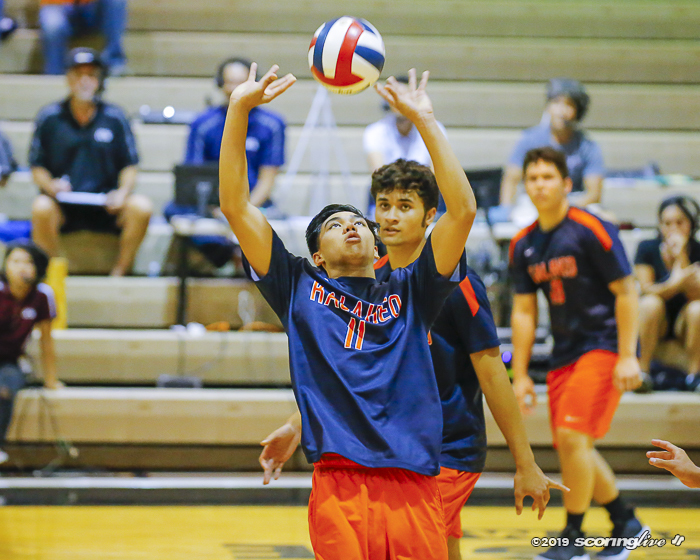 "I was really nervous," Cezar said of his last-minute start. "I wasn't expecting anything. I was expecting to play as a first relief, but didn't know (I would) start." 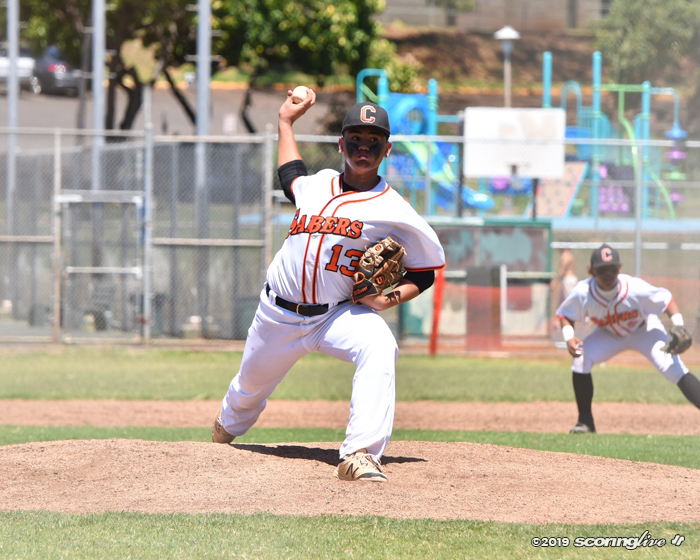 Cezar mixed his fastball with his curveball. 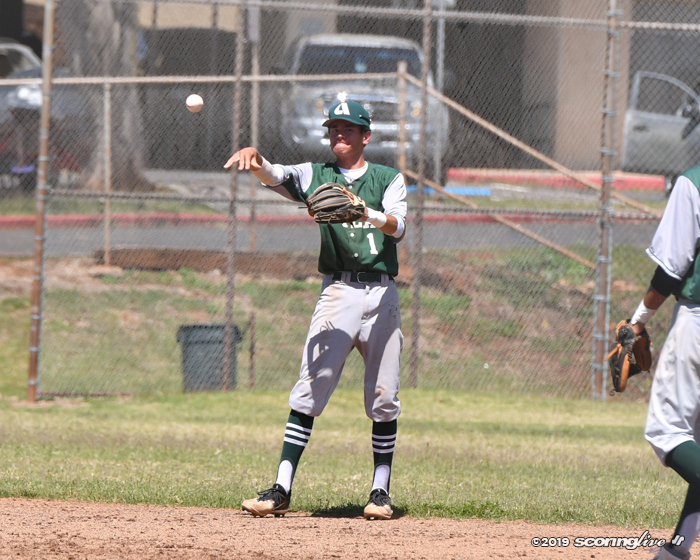 "My curveball came in clutch twice," he said. 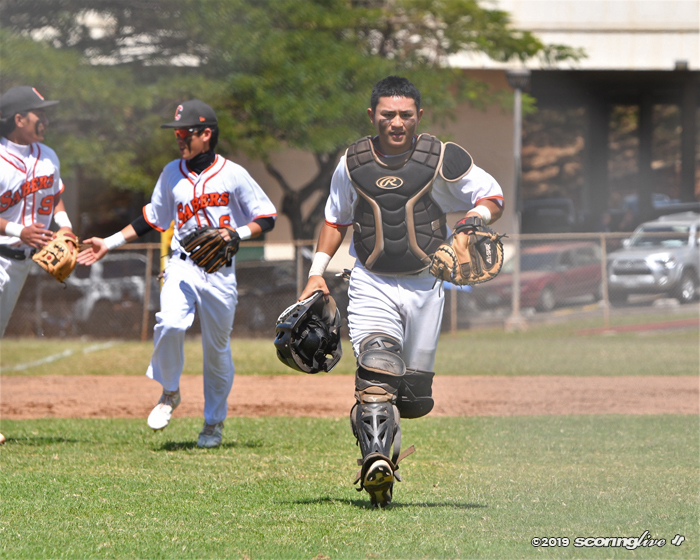 Both teams sustained injuries in the game. 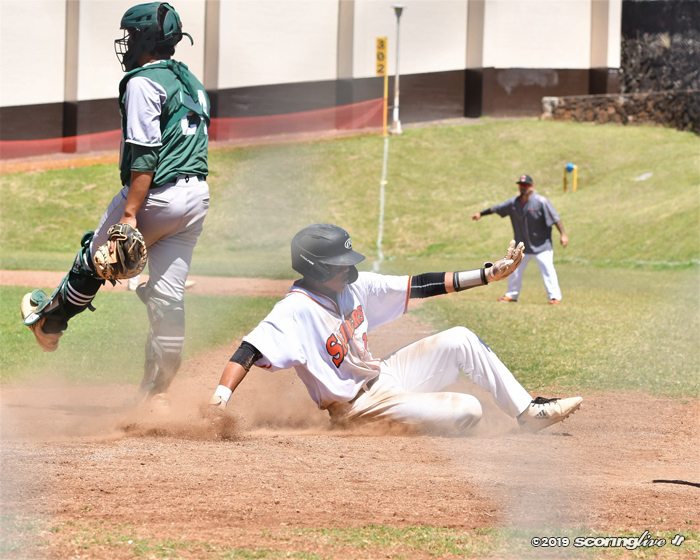 Campbell center fielder Tyrus Stephens fell on a concrete sidewalk while chasing down Mindoro's double in the fourth inning. 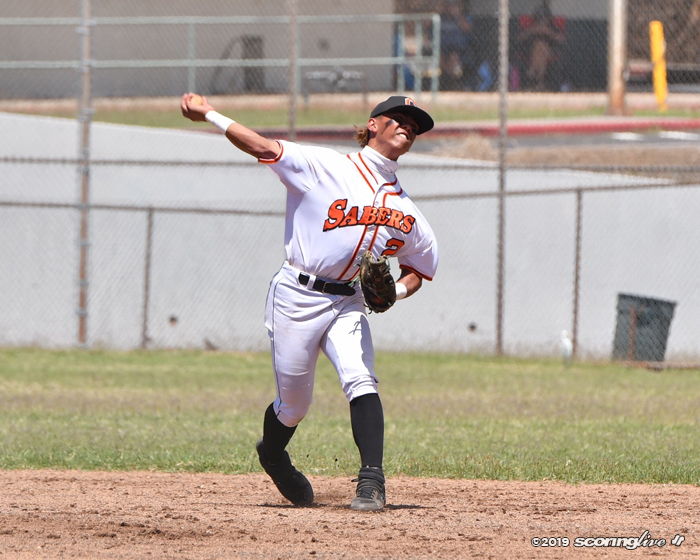 Stephens left the game after experiencing soreness in his back, Flores said. 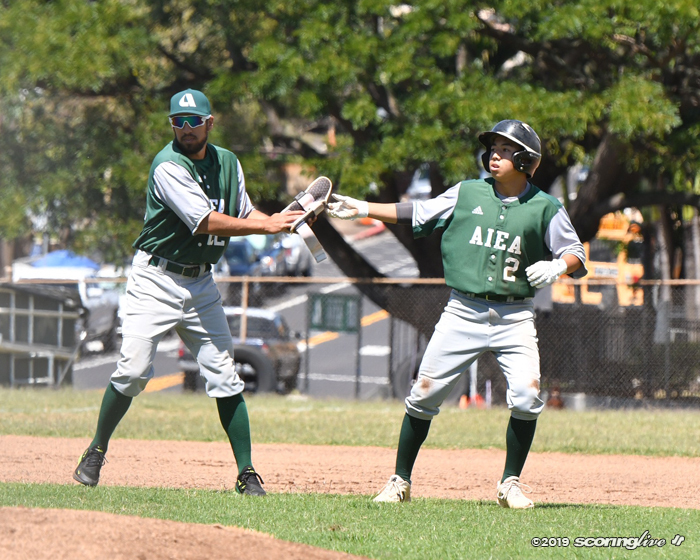 Also, Aiea second baseman Ujimori sustained an injury to his shin in the sixth inning when he had to leap for a throw from third base on a force at second. 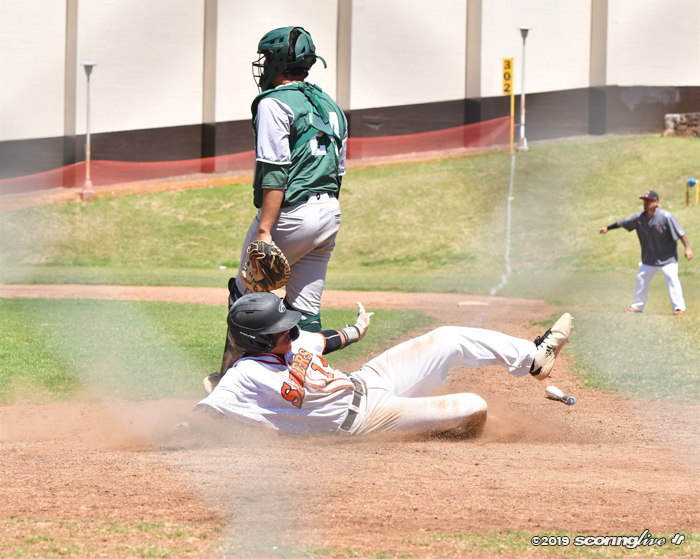 Ujimori leaped and landed on the bag for the force, but just as he handed Sabino inadvertently slid into the fielder's shin; though Ujimori did not attempt a replay, the umpires ruled interference for a double play. Ujimori, who was on crutches after the game, said he will have his shin checked out. 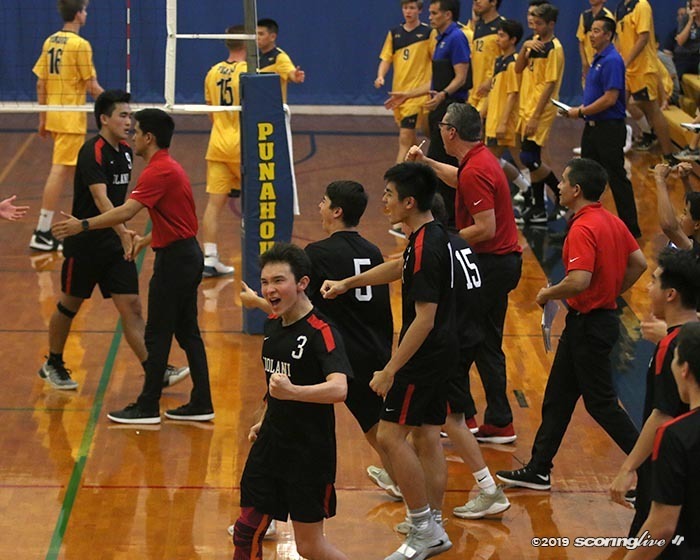 "This feels great," Mindoro said of the win. 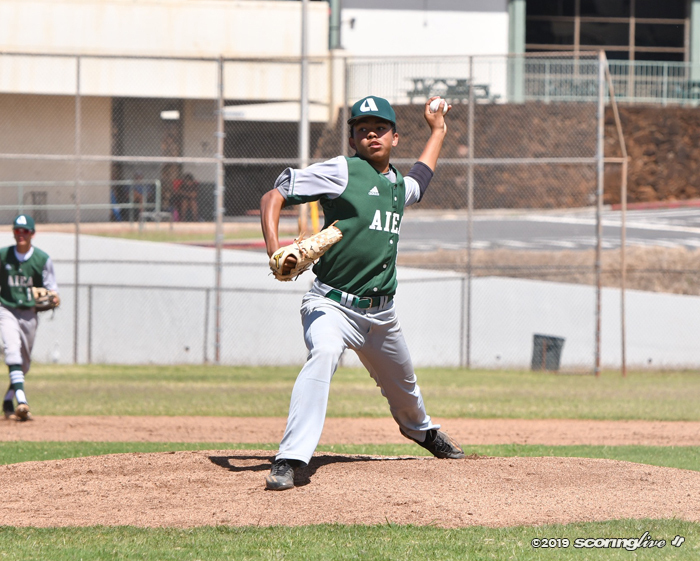 "Everyone contributed today and pitching was amazing. 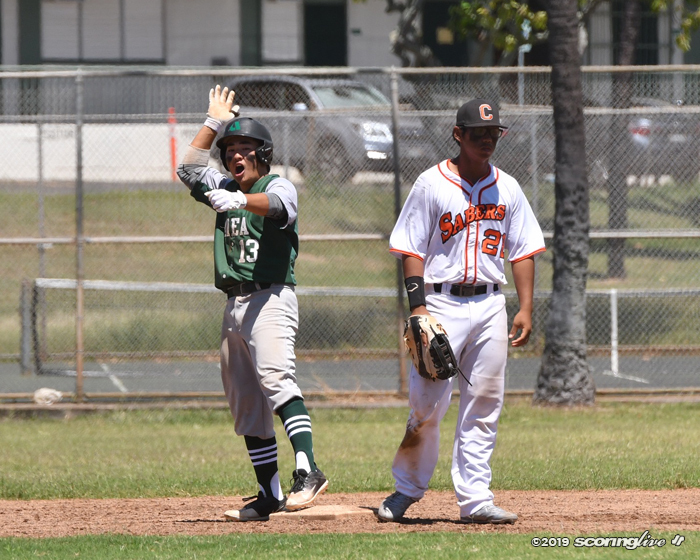 Jordan Cezar held it down. 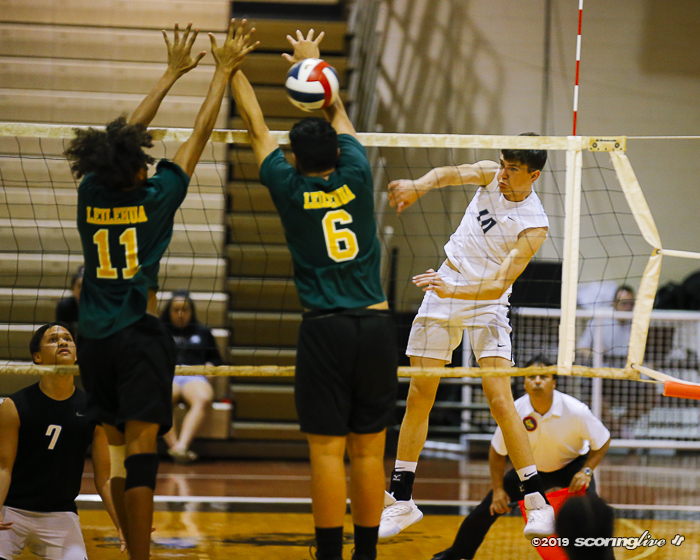 John (Navarro) and Joe (Canosa) came in and got it." 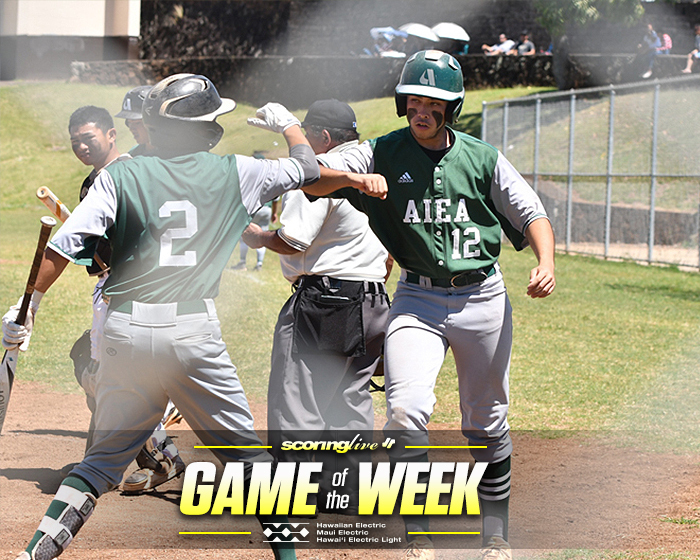 Aiea visits Waianae and Campbell travels to Pearl City on Wednesday.